Thirsty Pilgrim: Vigneronne for Your Great Thirst and Mine. What is it about the Vigneronne? Is it the sweetness of the Muscat grapes? 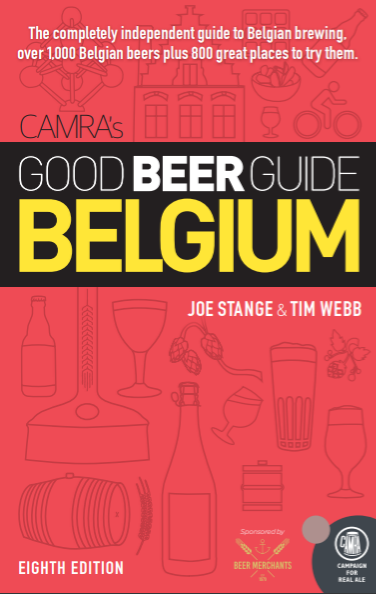 Is it the beer's knack, especially when chilled, for embodying all that is refreshing about lambic? Or maybe it's the power to hit the reset button on your mind, stomach, palate, and soul? Especially when slurped at the end of a long night. Or the morning after. Whatever it is, Vigneronne is my favorite Cantillon beer. 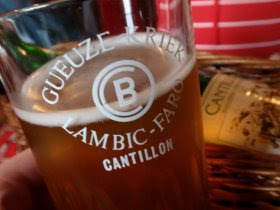 And how about that vintage Cantillon glass? Or is it faux-vintage? Who cares? It's cool. Hooray for tumblers that encourage us to gulp. I often say my favorite is New Belgium's La Folie, but with every new sour I have, I think it might change. That Vigneronne is mighty tasty though.